Every month, I give my dogs a flea treatment that involves pouring medicine on their back along their collar line. Invariably, it causes them to thrash and roll and act as if I have just doused them in acid. It is a ritual that we all dread. So last weekend, they were chomping away on the bones I acquired from a butcher. They seemed oblivious to everything, so I slid up behind them and applied the medicine. They did not flinch. Instead, they kept chewing and wagging and enjoying that moment in life. Think about how you can create a setting so compelling that your employees become engrossed in their activity and fail to notice the negative aspect that you introduce. Can you turn an envelope-stuffing party into a social event? Or make a project a competition to put the focus on the goal instead of the task at hand? Perhaps you can promise an early dismissal if the chore is accomplished on time? Completing an unpleasant task doesn’t need to cause a ruckus if the environment is right. 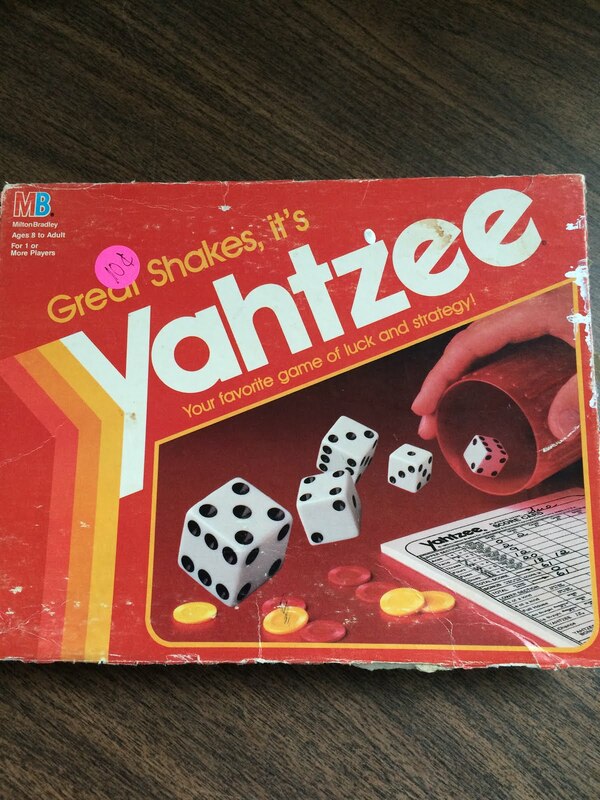 Over the weekend, I bought a Yahtzee game for 10 cents at a garage sale. It was a childhood favorite that I haven’t played in a long time. > Yahtzee, where you earn 50 points for getting all five dice the same in three rolls. > And Yahtzee is a long-shot, but something you try for anyway. There is also a “chance” category, where you can put whatever you rolled without needing it to fit into a category. Leaving yourself enough flexibility for “chance” is a good strategy as well. If you just aim for Yahtzee or only focus on the bottom portion, it is doubtful that you will succeed. But if you pay attention to all the sections, life will have more strategy than just rolling the dice. For many people, getting the mail out of their box is nothing special. Usually it is filled with advertisements, bills, credit card offers, solicitations for donations and not much more. But what if you opened your mailbox to find a coconut?! Or a sombrero? Or a pillow? Or a lime? If you’re like me, I suspect that you never even considered taking a piñata to the USPS without first putting it in a box. We impose our own restrictions, far beyond what is necessary. Push your thinking and don’t hide your next idea in a metaphorical (or real!) envelope. I recently spend some unanticipated time at O’Hare. Most people who found themselves delayed spent the time “waiting.” A few were reading books or newspapers, but most people frivoled away the hour(s) without doing anything productive. Not this woman. 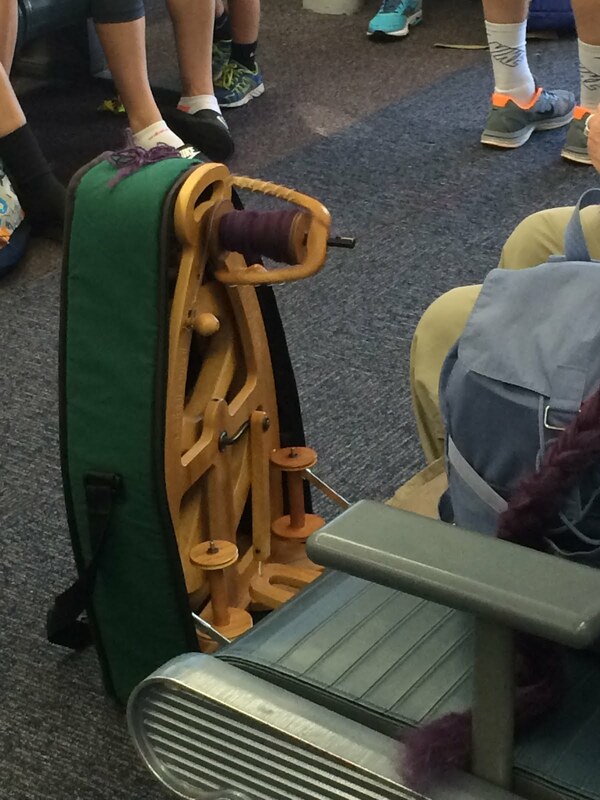 She travels with her very own spindle and spent the time turning dyed sheep’s wool into usable yarn. Given the amount of time we were at the gate, she was able to produce almost a full skein of yarn that she would later use for knitting. But more than being productive, she was content; even happy about the “extra” time to practice her craft. What hobby can you develop that is portable and allows you to take advantage of waiting time? It may not be as elaborate as carrying around your own weaving loom, but I hope there is something out there that brings you as much satisfaction the next time you find yourself in a queue. 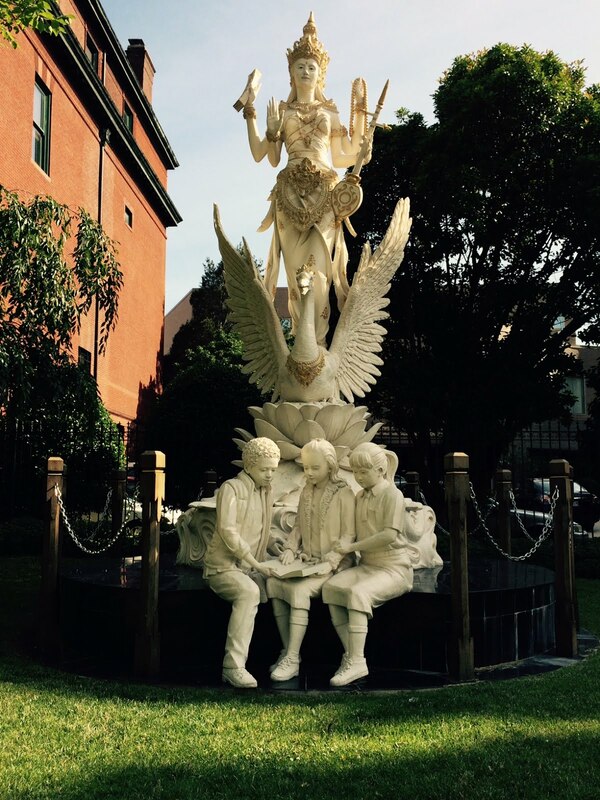 I recently was in Washington, DC and had the good fortune to stay on Embassy Row. 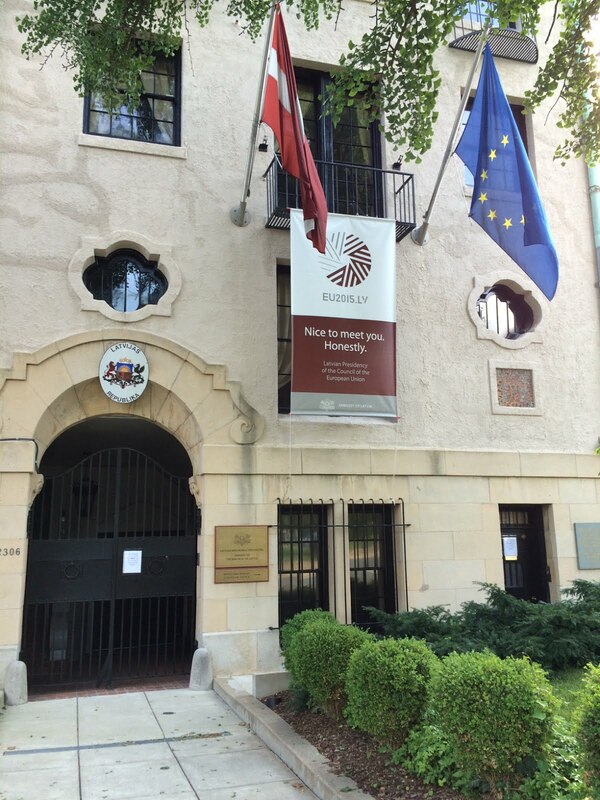 I love that part of the city where streets are lined with mini-museums and cultural artifacts representing the countries whose embassies are stationed there. There are 176 nations who have embassies in Washington, and I am always surprised at the scale and depth of their buildings. Tiny Republic of Cote d’loire (an Ivory Coast country I will admit I never heard of before) has three attached buildings taking up almost half a block. Likewise for Greece, the occupant of prime real estate as their country fends off loan defaults. It is a mini-United Nations as each country finds ways to express its culture and personality amidst the DC row houses. I began to think of the concept of embassy, defined as “a permanent diplomatic mission.”* Why does it only have to be countries that establish such relationships? Could you have an embassy to another office in your organization with whom you need to cooperate — and negotiate — and be friendly even when you disagree? Would it change the perspective if one of your employees (or you) were named the “ambassador” to another organization? How would you approach your relationship with others if you saw yourself fostering a permanent diplomatic mission instead of just a one-time transaction? 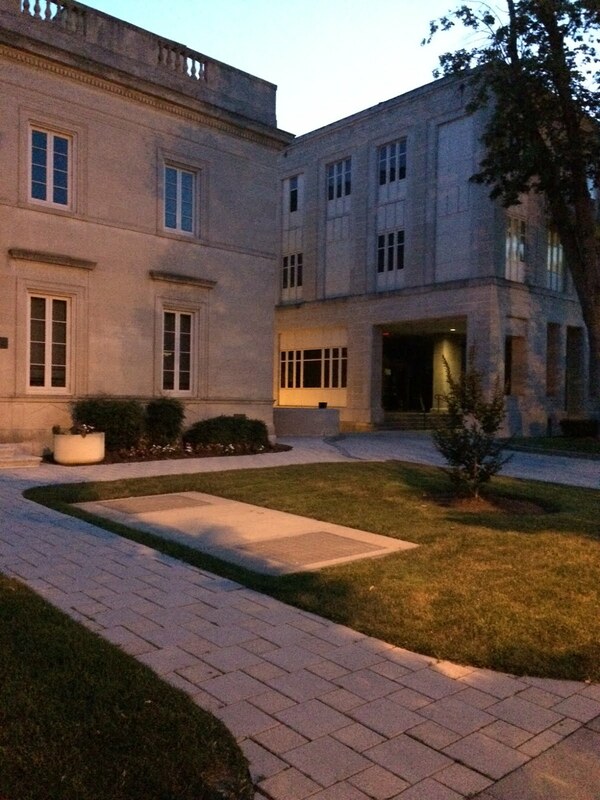 The United States has embassies in 307 locations. Where should you assign your ambassadors? I recently had to drive for about an hour in a dense fog. Thank goodness for the white line on the side of the road or I would not have made it. I know that line is there all the time, but I usually don’t pay attention to it. I suppose at night it becomes a subconscious guide, but for the most part I don’t even notice its existence. Yet, in fog or bad weather, that white stripe becomes an essential lifeline for a driver. Try to be like that line for your employees: where they are mostly unaware that you are guiding them, but you are always there when they need you. It’s a good style to drive an organization. I heard a speech where a potluck was described as a symbol of trust. His premise: We take potlucks at face value, believing that what is there is good and untainted (by heat, mishandling or ill intentions). We believe that to be true, even though life is not always like that. Do you take whatever looks good, and think that everyone else can too? Do you decide about each thing as you come to it without a strategy or plan? Do you think you can throw away what you don’t like and take more of what you do? Do you keep your options open and don’t commit until you see the whole spread? Do you “cheat” a little or make disciplined choices? Do you take the last piece or leave it in consideration of others? I have not thought of potlucks the same since I heard this talk. Life is much more like a potluck than the more common smorgasbord metaphor. Potlucks are irregular. They feature specialties as well as experiments. They put combinations together that would never be served at the same meal otherwise. They allow us to try things, reject them or go back for more. It is not all laid out for us; you need to work at it and contribute. Think of your life as a potluck. You may not know what you are eating, but you just may love it anyway.